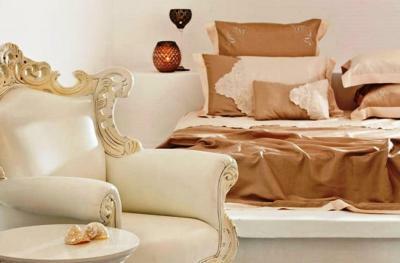 Lock in a great price for Asteras Villas – rated 9.4 by recent guests! Great location with with spectacular views. Staff was extremely helpful. Deck was wonderful to sit and enjoy breakfast. 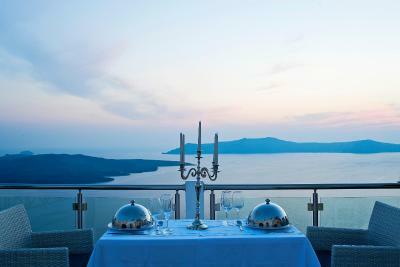 The location is absolutely beautiful and is a convenient base from which to explore and enjoy Santorini. 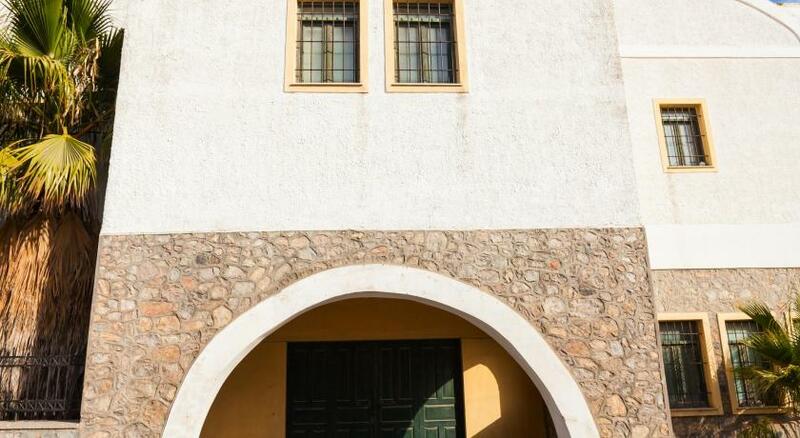 It is just steps away from the coffee shops, bars, restaurants, and shops of Fira. 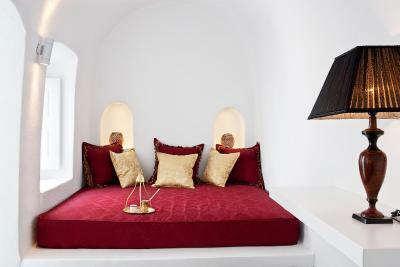 The staff is very friendly and helpful with excellent suggestions for sightseeing and activities. What better start to a day is a champagne breakfast? 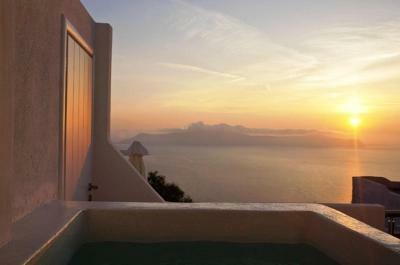 Best of all, one can sit in the hot tub and watch the sun setting over the caldera. 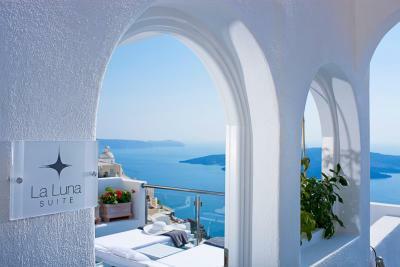 1- because it is the best hotel in Santorini (Fira) it got the best view of the ocean. 2- Mr. Aldres he was very nice and helpful, He is the best Hotel Manger ever. Everything here is amazing. 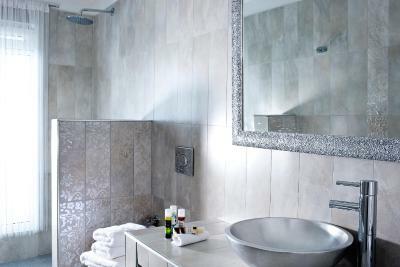 The staff is so warm and welcoming, the room itself was so spacious and the private patio + jacuzzi was an amazing touch. The breakfast every morning overlooking the water really added something special to our trip. 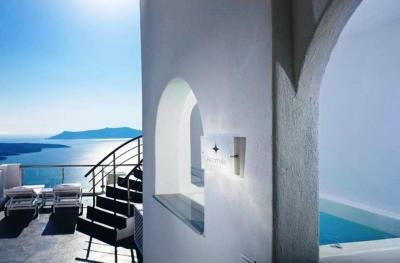 Asteras Villas proved to be an incredible and relaxing stay. Andreas truly knows the meaning of hospitality and made sure your time spent not only at the Villa but in Santorini is memorable. 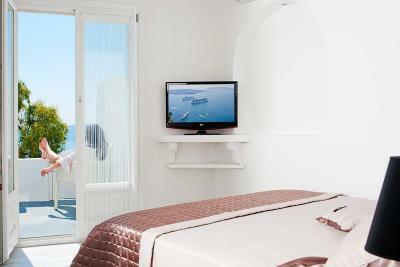 Make sure to relax and enjoy the breakfast served to your balcony each morning as the view is spectacular. We stayed here for 3 nights. 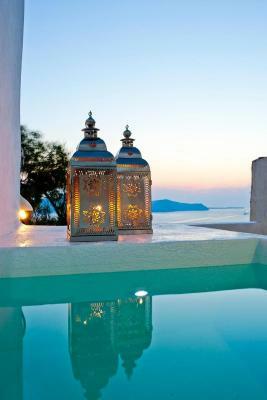 We love the location of the villa, it was in the heart of Fira. Close to great restaurants. 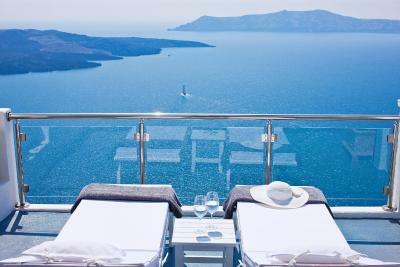 Amazing view from our room, overlooking the caldera. And great service too. 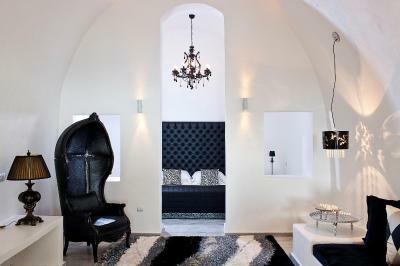 My wife and I are frequent traveler’s, Asteras Villas really exceeded our expectations at every turn. 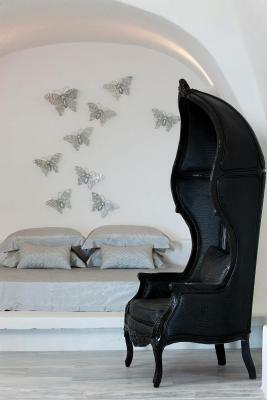 We stayed in the Venus Suite. The breakfast was absolutely fantastic, looked forward to it every morning. The view could not have been better. Andreas and associates were attentive to our every need/question and made our stay great. 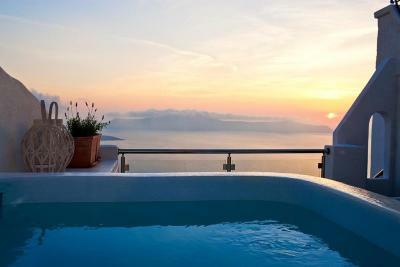 Asteras Villas is located in the town of Fira, atop the majestic caldera cliffs, looking down towards the endless Aegean Sea and just a few steps away of the main pebbled street in Fira, the capital of Santorini. Free WiFi is available in all areas. 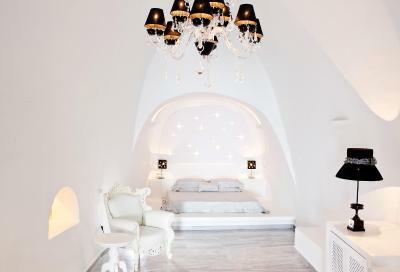 Each suite offers magnificent views to the Caldera, Thirassia Island, the famous volcano and the traditional village of Oia.They are decorated with modern furnishings. 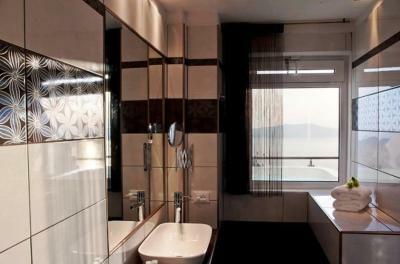 Every suite has a large private balcony. 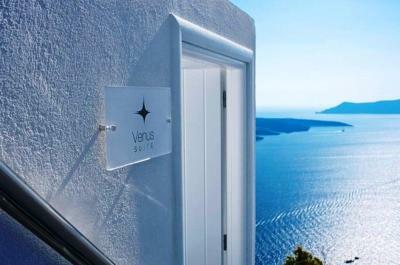 Asteras Villas offers guests the luxury of watching breathtaking views of the Aegean Sea, the volcano and the famous Santorini sunset. 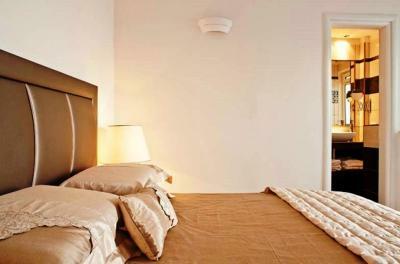 It is located within walking distance of public transport for the island, only 10 minutes away from the airport and 15 minutes away from the main port. The famous Black Beach and Red Beach are about 20 minutes from the complex by public transport, along with other unique beaches worth visiting. You can also easily rent a car from the reception to help you visit all the villages on the island. 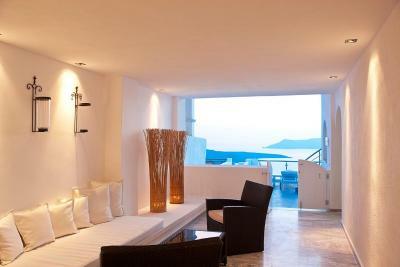 When would you like to stay at Asteras Villas? 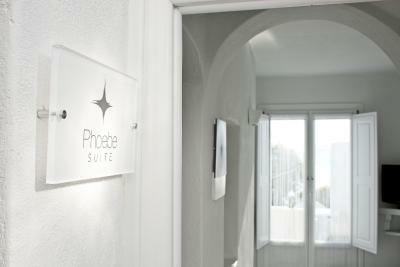 Dressed in black and white, Phoebe Suite has a private balcony with wing chairs, table, lounge chairs and heated hot tub with Caldera and sea views. 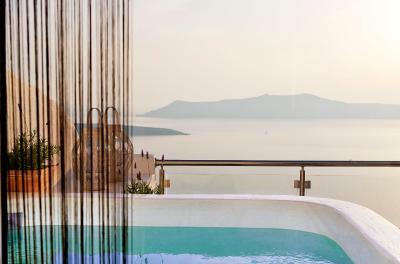 Venetian-inspired, with carefully chosen contemporary furniture, high ceilings with imposing chandeliers and stunning views of the Caldera, the volcano and the endless Aegean Blue. 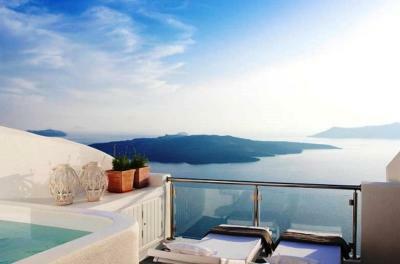 Astrophelia Suite offers a private outdoor heated hot tub with Caldera and sea views. 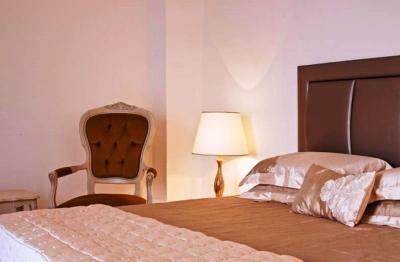 It is furnished with a king size bed with luxury cotton-satin bed linens and a choice of pillows and comforters. 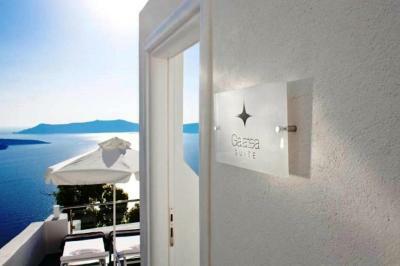 Only a few steps down from the main street with ample interiors and exteriors washed by the magnificent Santorinian sun overlooking the Caldera and the volcano. 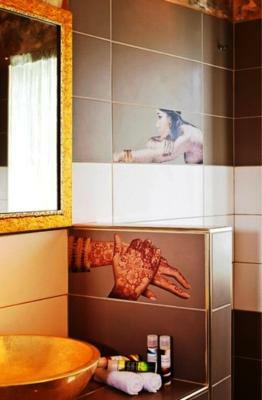 House Rules Asteras Villas takes special requests – add in the next step! 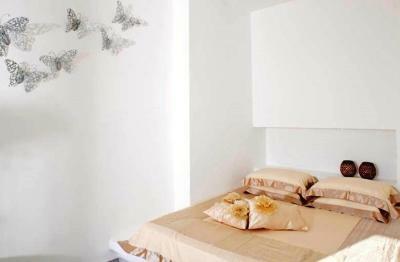 All children or adults are charged EUR 60 per night for extra beds. 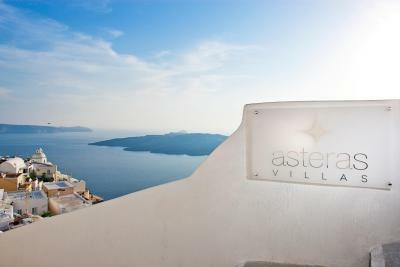 Asteras Villas accepts these cards and reserves the right to temporarily hold an amount prior to arrival. The views from the balcony were amazing. Every night the sunset was beautiful and you could watch it from the hot tub. The American breakfast was also fantastic, lots of choice and the food was lovely. Also the staff couldn’t do enough for you. Andreas the hotel manager was really accommodating and went out his way to make our holiday so memorable. Thank you again to him and his team! Next door is a cocktail bar which is also very good. Again the staff are amazing and so friendly I would definitely recommend the strawberritini - it’s delicious . Location, breakfast, the staff are all so amazing. Thank you for everything. Love the view especially! Amazing breakfast options to choose from on daily basis. 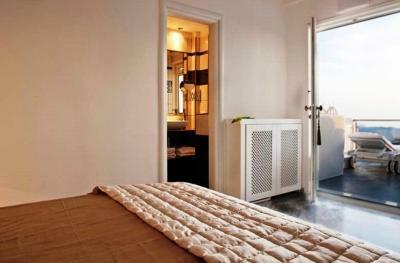 It'll be served in your room or private balcony area. 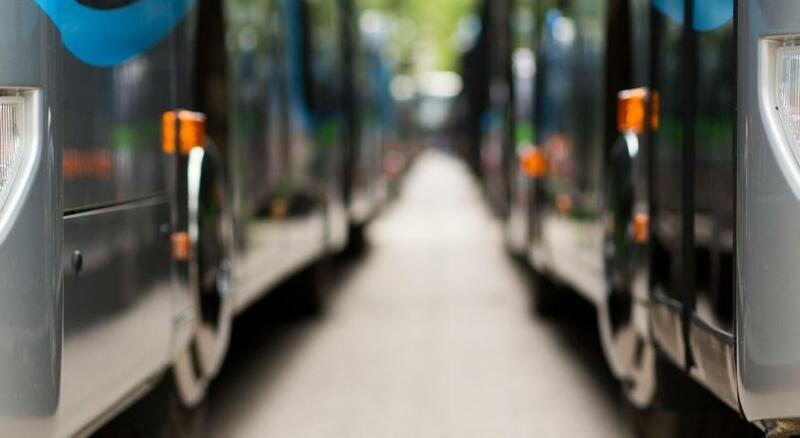 Great service and proximity to local supermarkets and restaurants. The views and accommodations were incredible. 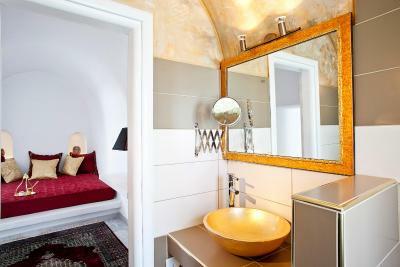 The central location was a great feature as well! The staff was very helpful & friendly. 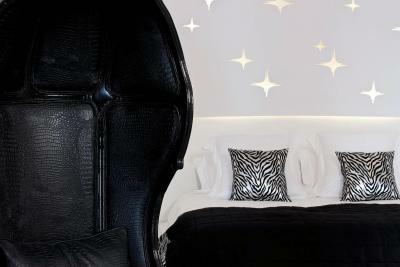 The room was one of a kind without being kitschy. The breakfasts were excellent. 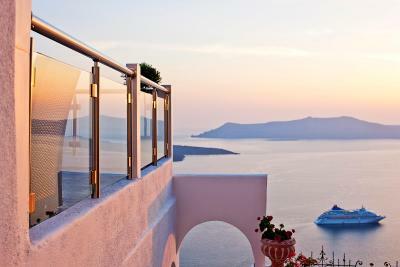 The only possible negative is an unavoidable consequence of the spectacular location on the cliffs overlooking the caldera; the narrows staircases could be a problem for those with mobility issues. 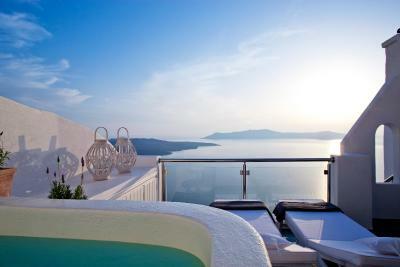 In that case, book one of the upper suites that are closer to the town on the rim. I was unhappy with double bed is 2 single bed combined , there is a hole in the middle. Wen u sleep the bed will separate. 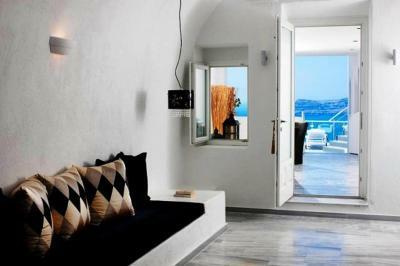 Heart of fira, superb convenient! Walking distance to all over the place and my villa is jz facing the sunset! Awesome ! 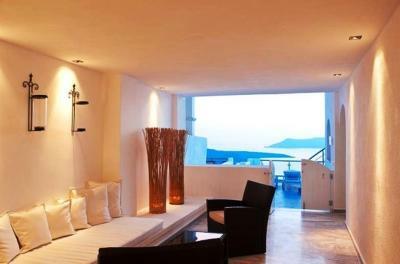 The reception staff Eleni was extremely nice and helpful when it came to guiding us to to must sees at Fira, Oia. The breakfast was good. It was the off-season so a lot of the shops and restaurants in the region were closed. However this was to be expected in the winter and the few places that were open we're increadibly hospitable and welcoming. Our room is smaller that what we expected, and room design wasn't the same as what we see on web. Also, our room was dusty but when I call to the person in charge, she just told me that she has checked the room before we move in....and she is very sure that the room is clean... I am definitely not happy about it. The view is amazing! You can take a bath and enjoy the sunset. You can have breakfast watching the sunrise. It’s terrific!